NEW - Like its gladiator name, the Spartacus baitcaster is a warrior! 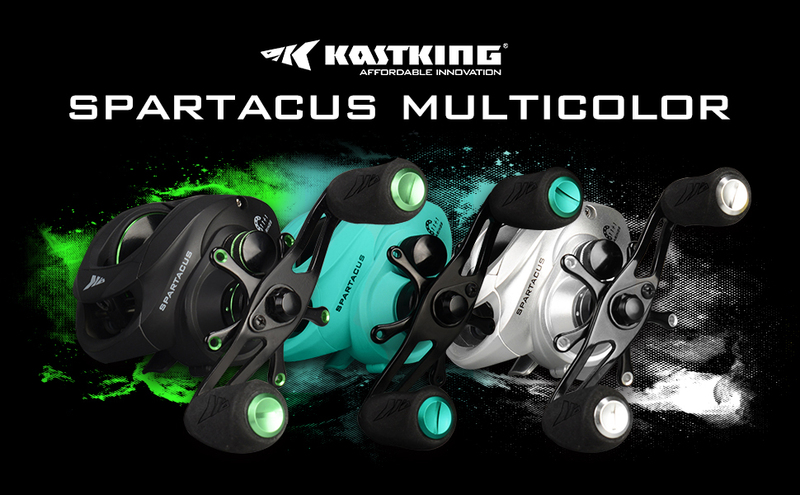 The KastKing Spartacus baitcasting reel now is available in two colors and has the dynamic features you need in the battle for your personal best. 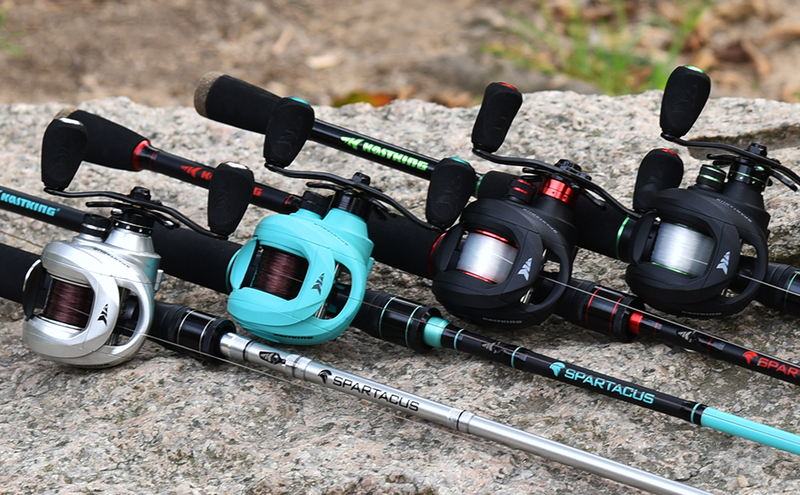 POWERFUL - You will love the exceptional micro-cast dual centrifugal and magnetic brakes and tournament ready carbon fiber drag with 17.5 LBs of trophy fish stopping power, that make the Spartacus baitcasting fishing reel a strong contender. 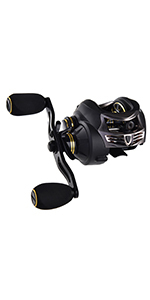 SMOOTH - A Spartacus casting reel has: superior shielded stainless steel 11 + 1 corrosion resisting ball bearings, CNC machined aluminum spool for smooth casting, powerful precision matched brass gears, instant stop anti-reverse for devastating hook sets, and braid line ready ceramic line guide insert. 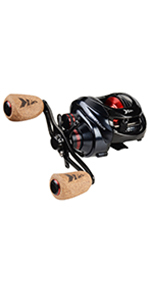 NO MERCY - A KastKing Spartacus baitcasters with its versatile 6.3:1 gear ratio create an exceptional baitcasting weapon in your fishing tackle collection that will save you money and bring you years of fishing pleasure. GAME CHANGER - Go beyond the limits with Chartreuse Green or Seafoam Green to match your style and fishing gear. This phenomenal, yet affordable new for Spartacus baitcasting reel is smoother and more powerful than other brand baitcasters in its price range. 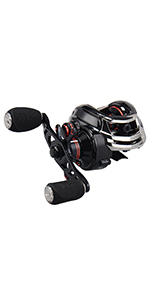 KastKing Spartacus baitcasting reels are high quality, high performance baitcasters at affordable innovation. Spartacus' unique centrifugal and magnetic dual brake system, 17.5 lbs. 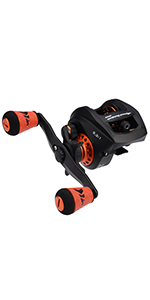 carbon fiber drag, 6.3:1 gear ratio, 11 + 1 stainless steel shielded ball bearings , plus instant stop anti reverse, durable brass gears, CNC aluminum spool offer the best baitcasting reel for you. 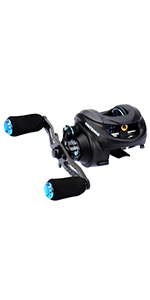 The corrosion resistant components of a KastKing Spartacus baitcasting reel will give you hours on end of fish fighting performance and could be used freshwater or saltwater. When shopping for a baitcaster reel compare the quality features and great value of a KastKing Spartacus to baitcasting reels from Abu Garcia, Shimano, Daiwa, Okuma, Quantum, Lew's and other brand fishing reels. Spartacus is available in right or left hand models in two colors. Bring a KastKing Spartacus baitcaster to your bass fishing arena and hear the crowd roar! KastKing is an ICAST Best of Show award winning brand. For the price this reel performs much better than some of my reels costing 3-4x as much. It is easy to clean and disassemble. Smooth casting and durable. I like be these reels and will.continue to purchase Kastking products for years to come.